Everyone loves that sweet new car smell that lingers in the air when a car drives off the lot. It’s by far the most recognizable sign of a new car. Another element that clearly distinguishes a well maintained car is that fresh swipe of the windshield wipers. New windshield wipers give the car that perfectly smooth shave, quickly removing any access layers of dirt, grim, or any other debris. Since wipers are in direct contact with the elements to increase visibility, they naturally wear down. This occurs from a combination of environment, usage, and harsh debris. The experience of going from decreased visibility to turning on a pair of fresh wipers is fantastic. Instantly the grit and debris is removed, revealing a transparent window to the outdoors. Unfortunately, it is common that replacing wipers is not high on the priority list. This is when the annoying filthy film occurs on the windshield and seems to get worse when the windshield wipers are turned on. What is happening is that the wipers are also dirty and create a friction between them and the dirt on the windshield. Any guy will tell you, never use a dirty razor – it can have disastrous effects. This is also true with wipers. Maintaining clear visibility is essential to the safety of the driver, passengers, and the surrounding traffic. When it comes to replacement wipers, always go with the OEM wiper replacements and your car will have that clean shave for perfect visibility. These wipers are guaranteed to be the perfect size, weight, and designed exactly to your vehicles specification. Many aftermarket wipers just don’t do the job as promised. 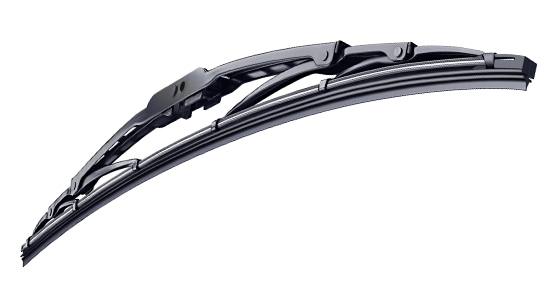 In order to ensure a perfect match and obtaining maximum visibility, it’s best to order a pair of OEM wipers.